Jessica Irene Sexton was born in 1917; her family then lived in a small cottage in Vale Road, Crosby, opposite St. Luke’s Church. In the 1930s Rene, as she liked to be known, went into domestic service. She worked for a family in a house called ‘Graigmin’, situated on the corner of Mariners Road, Crosby. This house is still there and is now a Doctor’s surgery. On her days off, Rene used to meet friends at the bottom of South Road, Waterloo. One day Rene met a young man, who was on leave from the Merchant Navy. He invited her to the pictures next evening. There was great local excitement, as a new cinema was opening that night. 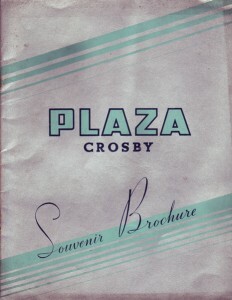 That cinema was the Plaza, on Crosby Road North, Waterloo. It was a Gala Night, the Lord Mayor was present and the audience were given souvenir programmes. The film shown was ‘South Riding, the star was Ralph Richardson. The young couple decided to meet again the next week. The date was 2nd September 1939! 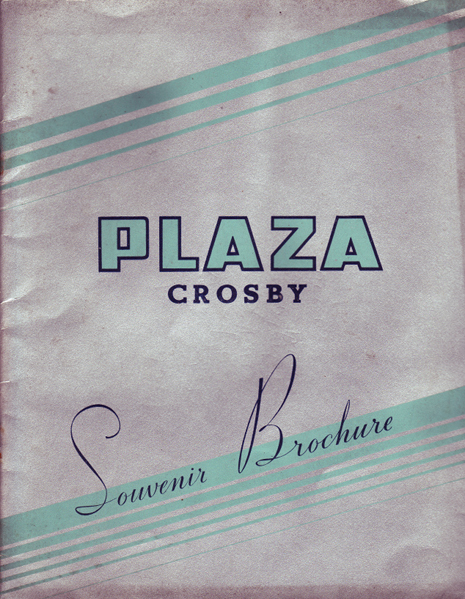 Sadly, war was declared next day and the Plaza closed. Memories of Jessica Irene Sexton – submitted by Alice Molloy.